Access from Work, the Job Site and even Home at any time of the day. Our cloud based software allows your staff to access their schedule, project plans and schematics from any device that connects to the internet. Any device with a browser + an internet connection! "With my smartphone, I have my whole office with me." 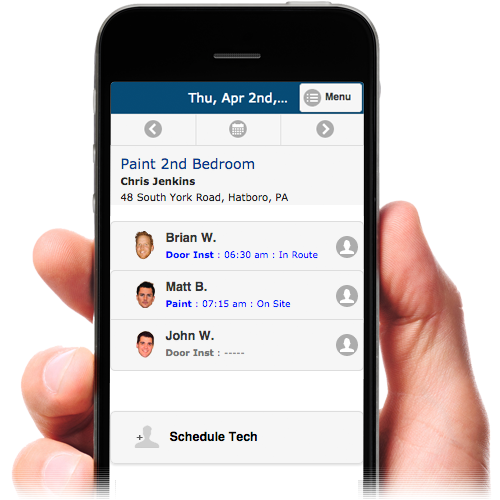 Sergeant Schedule can restrict your employees from Clocking In/Out of a job without physically being on site. 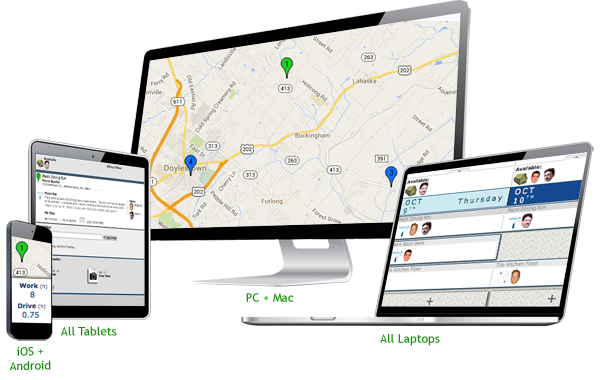 By using the GPS tracking of a smartphone, we can give live info of your staffs whereabouts. Note: This feature is not part of the standard package.